Business Informatics College organizes table tennis championship for students. Businesses Informatics College at the University of Information Technology and Communications organized table tennis championship for students. This championship organized by Activities Students Branch at Businesses Informatics College. There were thirty-two participant students. This champion chip was for two weeks. Rank one has gotten by ''Mahdi Jabar'', a student from Systems Management Department. Rank second has gotten by ''Omar Abdul Razak''. The third rank was gotten by two students ''Gaith Kamel'' and ''Fahed Farid''. Both are from Businesses Information Technology. 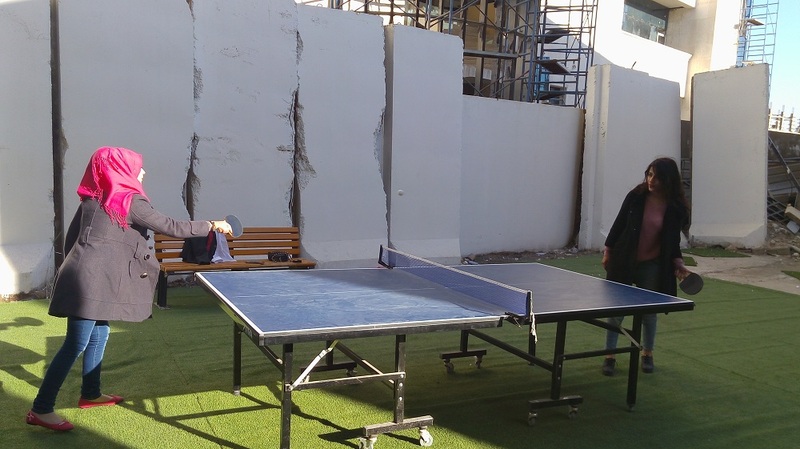 In table tennis for girls "Nabaa Faisal" at Business Information Technology Department gained the first rank, followed by her colleague, "Teaba Jassim" from the relevant section in the second rank. The championship was supervised by the responsible of student activity branch, lecturer "Yasser Mohammed'' and the head of Following up Department, Mr. ''Muhammad Najm''.